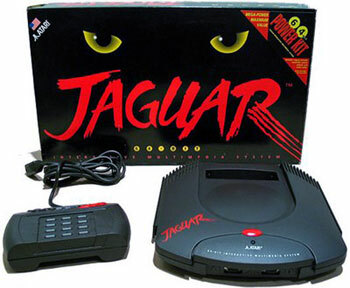 World renown for its videogame consoles, arcade titles, and PCs, Atari released a beast in 1993 known as the Jaguar. 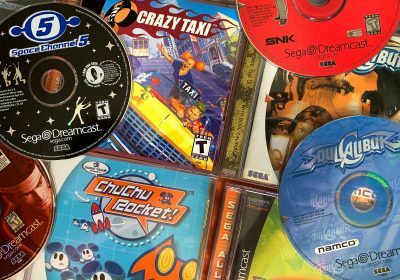 Pitted against the likes of the Super Nintendo, Turbographix 16/PC Engine, and the Sega Genesis, the Jaguar roared on to the scene and changed video game history. Released November 18th 1993 in the United States. It was supported by Atari until late1996 right before Atari was bought out by Hasbro. 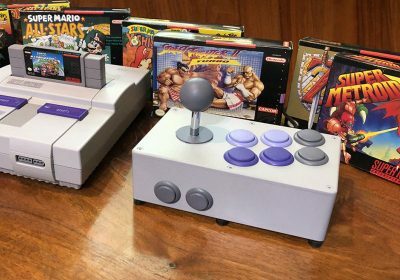 Created by Flare Technology, a British company of former Sinclar engineers, to make a cost effective console more powerful than the Genesis/Megadrive and Super Nintendo. Was designed in tandem with the Atari Panther (a system to compete with the Saturn and Playstation). Since the Jaguar was ahead of schedule, the Panther was scrapped and the Jaguar was released. Is the basis for COJag – the Jaguar based arcade platform. Famous for Area 51 and Maximum Force. Graphical Powerhouse – At its release in 1993 there was no equal graphically on the market. Color Palette – Barely noticeable on the included coax connector, however if you upgrade to Svideo it is a night and day difference. Rayman is the benchmark most Jaguar fans use. Active Homebrew Community – To this day there are still new released Jaguar titles. 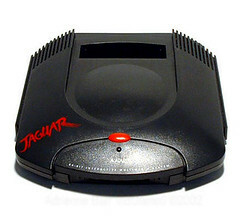 Jaguar CD – Using a modified Audio CD format, Jaguar CD games could be up to 790 megabytes in size. A huge stepup from its competition and staved off piracy for many years. It also looks damn cool. Region Free – During boot the Jaguar would determine which screen size and frequency to use for the games based on the consoles region and apply them accordingly. In simpler terms, a PAL copy of Atari Karts will play fine in a NTSC-U Jaguar. Controller – While it offered an array of options for developers and players, few games used them and they often used a print out sheet that was easily lost. Cartridge – Most will see this as a Strength but the cartridge was one of the downfalls of the console. In 1991 Sega had released the Sega/Mega CD and in 1993 both the 3do and the Amiga CD32 were released. CDs were going mainstream and by opting to have CD’s as an expansion through the Jaguar CD, Atari effectively shot themselves in the foot with high cartridge prices. Reliability – The Jaguar itself was fairly reliable, but the CD addon is renowned for its poor construction. Early Jaguars have a “hissing problem” the cause is up to debate and it is merely annoying. Jaguar CD – Unreliable and very hard to repair. Atari – Atari promised the moon and, after the crash of 1983, many were skeptical. 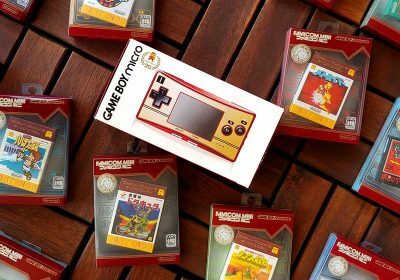 Some retailers refused to stock the console outright. Motorola 68000 – operating at 13.3mhz -managing load between the processors – though many games use this as the main processor. JagPEG compression algorithm allowed realtime decompression, giving equivalently 50 megabytes (400 megabits) of storage space on a 6 megabyte cartridge. VLM (Visual Light Management) Software – created random lightshows for boot up and when playing audio cds. Controller Overlays – Many games featured a controller overlay for the numpad. These keys were used for anything from inventory management to save game functions. Pro Controller – adds X,Y,Z, and shoulder buttons L and R. All are remaps of keys on the numpad. Because of this, some later games were designed for the Pro Controller over the standard one. PRO-Stick – Arcade Stick. Has a controller port on it so you can use the numpad on a controller. JAGLink 2 – a JAGlink dongle that supports daisychanning. Fully compatible with existing JAGLinks/titles. DSP Through connector – for Comlynx adapter. Here’s a few of the stand-out titles from the Atari Jaguar library — they are the first games to check out if you obtain the console. Created by the Jeff Minter, Tempest 2000 utilized the powers of the Jaguar to recreate the arcade experience from the ground up. 100 stages, 6 different powerups, and a multitude of different enemies, all on a psychedelic rollercoaster ride with techno music pounding in your ears. Almost universally applauded as the best game on the console. And to show how much of an arcade fan Jeff Minter is, there is a hidden option for a rotary/dial controller, which an official one was never released. To rectify this, fans have made their own (link to instructions at the bottom of the page). Don’t be mistaken, all ports of Tempest 2000 have issues. The Jaguar version is still the best version, and because of that, still commands quite a price on the secondhand market. As the fourth released Aliens Vs Predator game, the Jaguar entry set the style for all following titles in the series. Gone are the beatemup stylings of the SNES, Gameboy, and Arcade titles before it. What was given to the player was a choice between playing one of the three races and a very well polished first person shooter experience. Given that it uses 2d sprites in a 3d plane (aka the Wolfenstein 3d Effect), it aged poorly, however this is the definitive Jaguar FPS and one of the best FPS games pre 1995. Best looking game on the console. Ubisofts 2D platformer really pushed the 2D powers of the console and it can only be described as pretty. The game was also release on the Playstation and Sega Saturn, so it isn’t an an exclusive, but it’s still one of the Jaguar’s showpieces. Based off the Cartoon of the mid 90s, this Jaguar CD title features full voice acting (with the entire tv show cast), fmv clips from the show, and a fairly decent challenge. It is not the most well known title for the console, but it is quite solid – Sadly, since it is based off the tv show, no Sean Connery…that and it has tank (aka Resident Evil) controls. As of the time of this writing you can obtain a Jaguar on eBay for about $80. A working Jaguar CD will easily run you about $250+ on eBay. 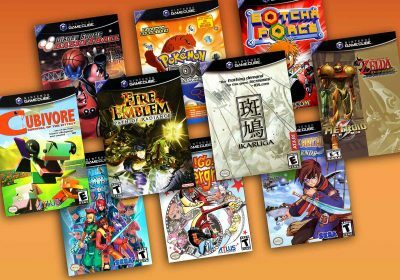 Games vary from $1 to $70, with most in the $10-20 range. Now that I can find some reasons to keep. Personally I have wanted a Jaguar just for Alien vs Predator. I always thought that game looked the coolest ever since I laid eyes on it. It’s a cool novelty system too — kinda like the Virtual Boy. The Jaguar was worth it to me for Tempest 2000 alone. It’s likely one of the greatest games ever made and epitomizes the term “video game.” Adding a rotary spinner (and I mean a real spinner, not a driver controller) alone sweetens the deal over the competition. The other major positive in the direction of the Saturn is a fairly flourishing homebrew community. Alas, a lot of the games are only available via Jag CD, but a few good titles like Protector: SE exist on cartridge. There’s about a dozen total titles I’ve managed to justify buying for the Jaguar, which doesn’t include some simply out of my reasonable price range (Battlesphere, namely) and Jag CD titles, so good games do exist. 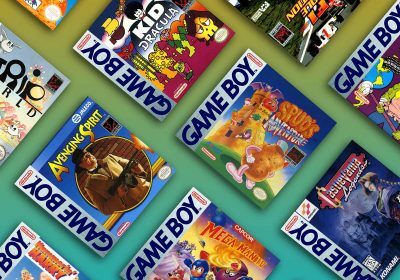 I struggled to find that many titles to justify, however, where if I lowered my standards that much for every system I’d have thousands of games. It’s rather amusing to me that the game with the best graphics on Jaguar is better on another version that wasn’t a re-release or anything. Thanks for another interesting article, guys, even if the editing needed work (and no, 32 bit + 32 bit never, ever technically means 64 bit). OK, I’m obviously on something, since there is no Ballz! for Jaguar. I could have sworn it had a version, but it doesn’t. i love my jaguar so i love this article. RGB Scart on a CRT TV blows s-video out of the water. I tested both connections on my Jag and the difference is very pronounced. Although, on a non CRT HDTV I would prefer s-video. These sets can’t output a native 240p resolution. seconding marurun: whoever sold you a jaguar as “the first 64-bit console” was a buzz-lier. Not even pushing the memory bus width to 64 wires does the job. To be a 64-bit console, it needs a processing unit capable of 64-bit integer arithmetic at least. That does not make any sense, but OK, it is your personal preference. What does 240p have to do with RGB or S-Video? The panther was supposed to be a more affordable 32 bit version of the jaguar, it wasnt supposed to compete with the playstation. Thats what i read but i could be wrong. I used to be a Jaguar collector and read up on this stuff alot. @sylvainulg: The Atari Jaguar has five processors. Two of those are capable of 64-bit integer arithmetic. 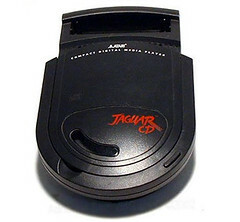 The jaguar had 2 real 64 bit chips, 2 32 bit chips, and a 16 bit sound chip. Alot of the developers actually utilized a manager command chip (motorolla 68000) in the system that was 16 bit. What i mean is that there was a 16 bit chip which its function was to tell and manage what the other chips what to do. Due the the complex nature of the system alot of games graphix were ACTUALLY programed for this 16 but chip instead of using the other chips, which is why alot of games cant even compete with the genesis. its a cheap shortcut the developers used. 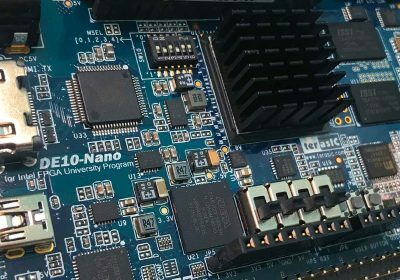 the chip wasnt intended to be used this way, but just meant as a manager, but thats what they chose to do due to lack of support from atari and program tools. If the system had 64-bit main CPUs that makes it largely 64-bit. Being dual 32 doesn’t make it 64-bit. Either way, the piece needs to clarify that. Great article on Jaguar!! I bought mine mainly because Tempest 2000 rocks but there are some other great titles as mentioned!! I only knew one person who had a Jaguar (because he got EVERYTHING he wanted) and all I remember was that ridiculous touch tone pad in the middle of this beast of a controller. My eight year old eyes hated every game for it. Never did play Rayman though. How did no-one think that controller sucked? I still remember wanting one though! Dammit Racketboy! Everytime you make one of these guides, I’m always tempted to buy a console I never thought I wanted. But for an old console, thats quite a bit of money… I ‘ll probly just wait for emu compatibility. Minter did the lightshow for the CD-addon too. 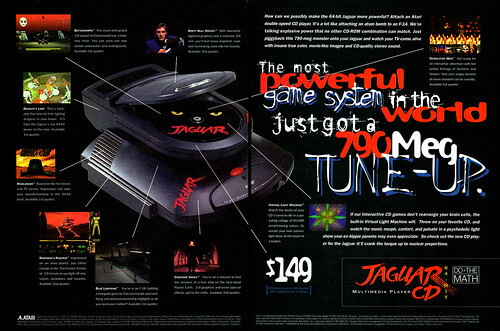 The Atari Jaguar was the ideal system if you were a naive/tasteless gamer.The system’s hardware capabilties were greatly exaggerated,plus it had those ugly calculator -like controllers!Much like the ill-fated,Atari Lynx hand-held system this system is a “Catastrophy”! And to think I was this close to owning this piece of crap back in ’96.